Along the way, not much past Nahr Al-Kalb (Dog River, see earlier post below), we took a turn off to climb a very steep hill (all the hills in Lebanon seem of this variety! 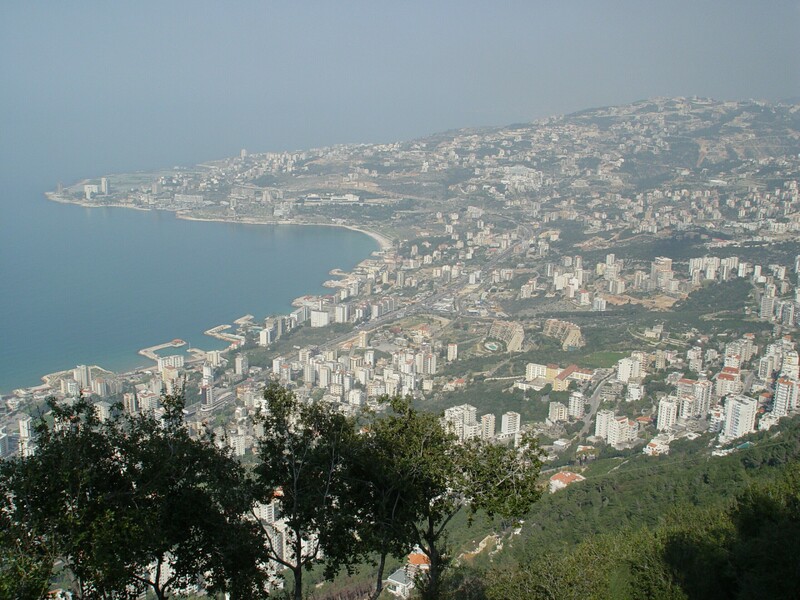 ), rising 400 meters in about 5 minutes, to a giagantic statue of Our Lady of Lebanon, overlooking the costal town of Jounieh, about 15 kilometers to the north of Antelias. The view from the monument is spectacular, to say the least. 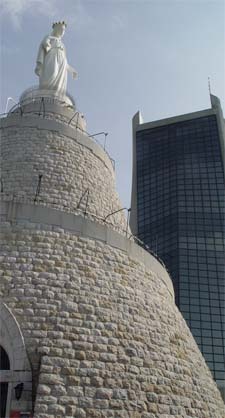 The monument itself, quite impressive. 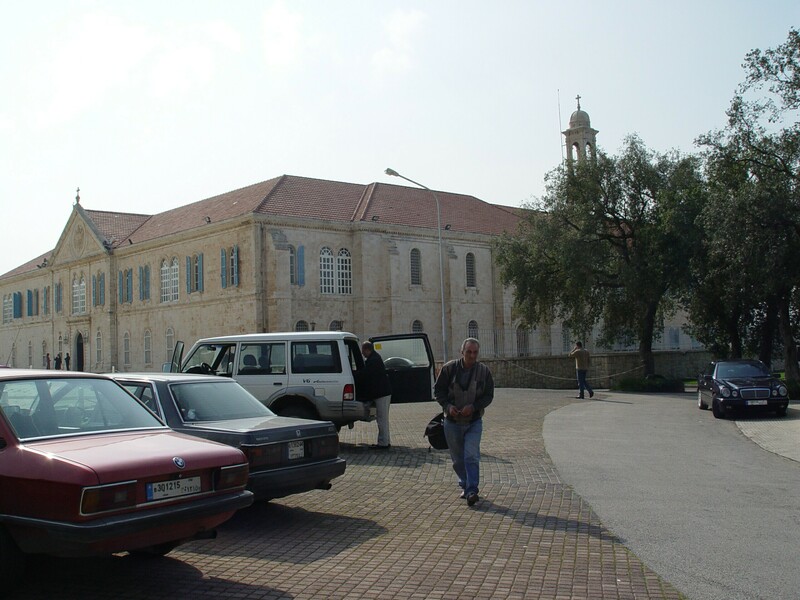 A major pilgrimage site for the Maronite Catholic community, it is also high on the shortlist of the main Lebanese tourist attractions — a bus load of Moslem tourists rolls in as we park the car. 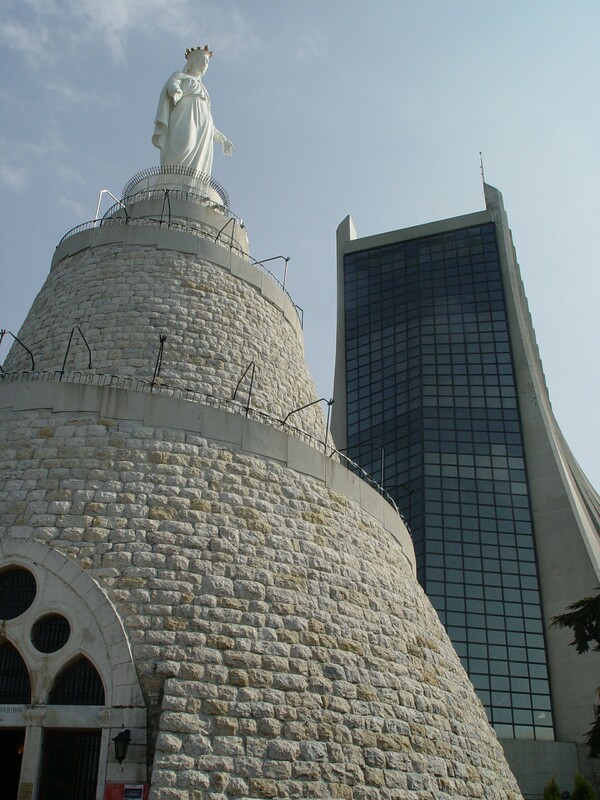 Beside the towering monument, an equally towering front window to a very modern Maronite basillica. 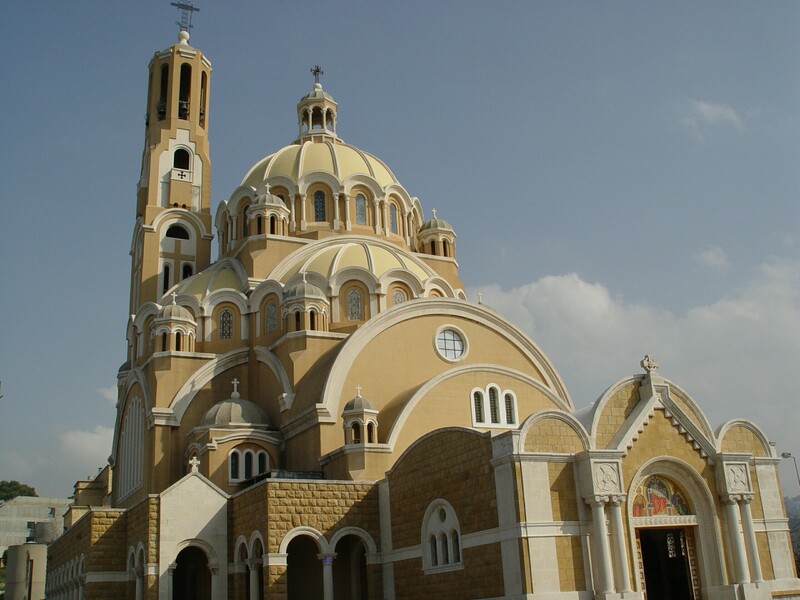 A stunning site also greets us from the heights of the monument to Our Lady, a few hundred meters away and a truly magnificent Greek Orthodox Basilica dedicated to Sts Peter and Paul. Later Fr Norayr tells me that the architect of the Greek Basillica is an Armenian, the same Mardiros Altounian who designed the Cathedral at the Catholicosate. Lady, we drive over to the neighbouring Basilica. The interior of the Cathedral is truly remarkable. 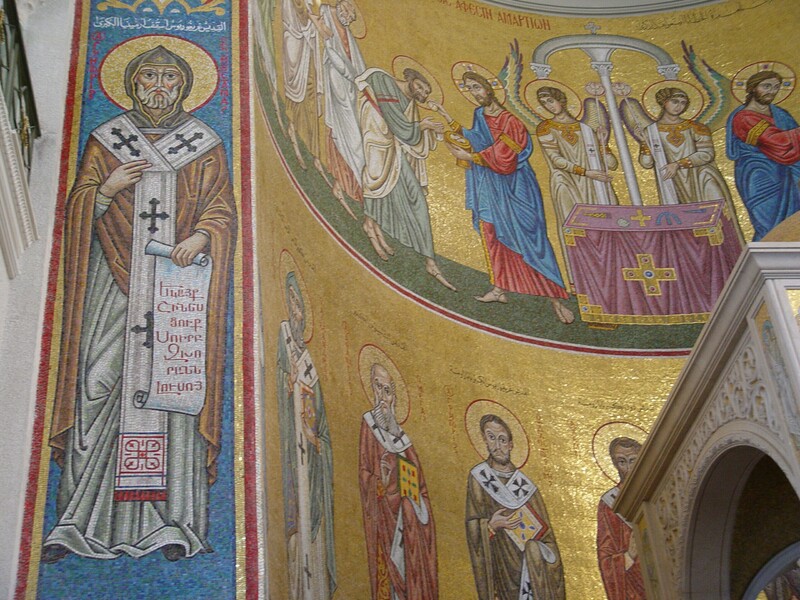 The basilica is filled with glorious mosaic iconography, from floor to ceiling, with rosewood furnishing, and a very finely painted iconostasis. 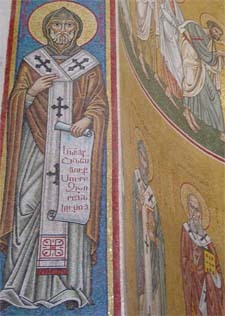 One of the mosaic icons portrays St. Gregory the Illuminator, founder of the Armenian national church — honouring both the architect and one of the major Christian traditions in Lebanon.